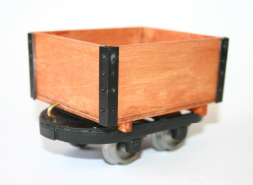 This is were comfort become luxury on the range using the hudson chassis with wood superstructure looks very pleasant behind our scale industrial loco. 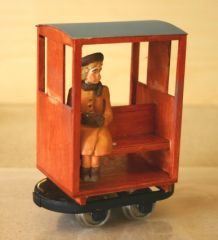 The figure is not included but a range of inexpensive figures are available from Model Town. The kit is complete. 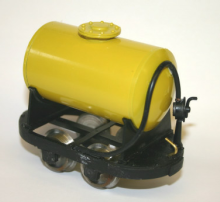 Steel wheels are included and are available in 32 mm gauge or insulated 45 mm Gauge. 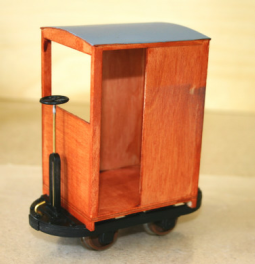 Keep your coaches in check with this guards van the original has a simple wood burning stove and other embellishments that you can add. 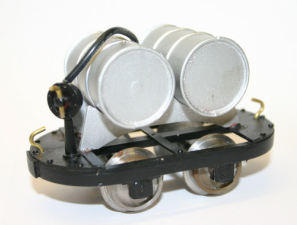 using the braked hudson chassis with wood superstructure looks very pleasant behind our scale industrial locos.